Power washing an asbestos roof can give rise to airborne fibres and is a procedure that is not allowed by the HSA. Asbestaway combines the use of specialised roof cleaning equipment with our asbestos expertise, which enables our team to wash an asbestos roof safely. We us this in-depth safety system to contain and remove roof water that has become contaminated with asbestos. The contaminated water, is filtered through Hepa filters and solids are disposed of as asbestos waste. This leaves the roof ready for encapsulation. 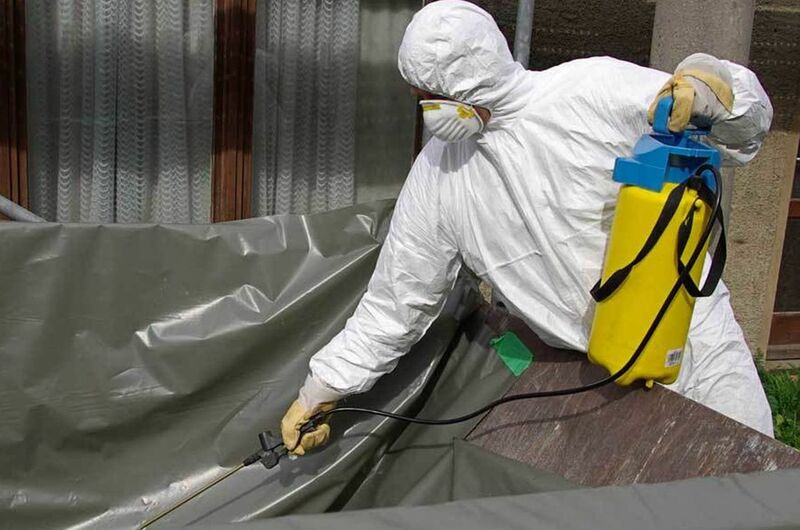 For additional information on our HSA approved asbestos roof cleaning service, get in contact with Asbestaway today. This modern and cost-effective post rood cleaning service is a system where the cleaned roof is encased, or enclosed. The means that the asbestos roof is sealed and made safe. The benefits of this system mean the need for costly remove, disposal & re-roofing is eliminated. This system also ensures that the potential release of asbestos fibres is eliminated. For additional information on our asbestos roof encapsulation service, get in contact with Asbestaway today. Asbestaway personnel have been fully trained and Asbestaway is an approved applicator of the 3M liquid roofing system. Once applied the 3M Liquid roofing system is fully guaranteed by for 10- 25 years. This system guarantees peace of mind. The 3M liquid roofing system is suitable for a variety of roofs. Interested in learning more about the Liquid Roofing system? Then get in contact with Asbestaway today.